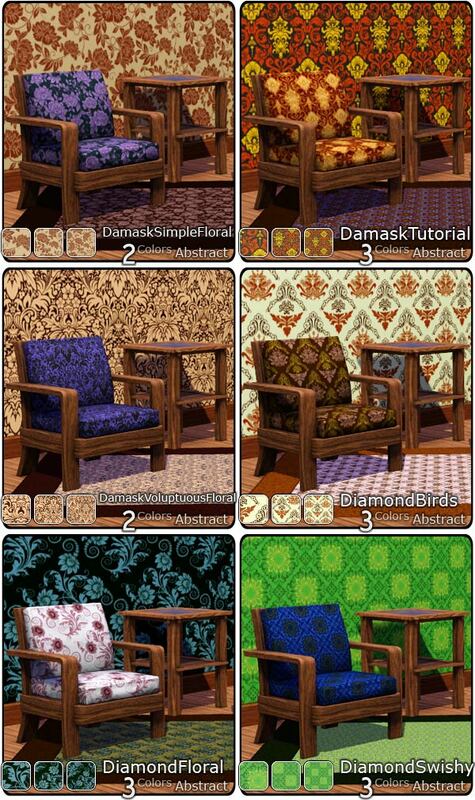 Mod The Sims - Pattern Giganto Pack. 64 Patterns. Pattern Giganto Pack. 64 Patterns. For various reasons I had to delay my installation of TS3 for several weeks after the release date. 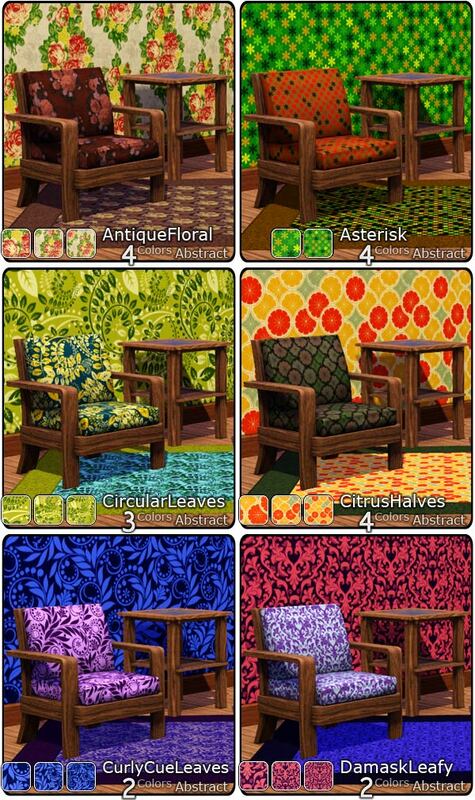 During that time I entertained myself by creating patterns (I just knew I'd be frustrated with the EA options). These are the fruits of that labor. 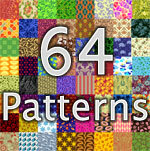 This upload contains 64 patterns most of which come in three sizes (for a grand total of 188 files). All of the .package files are in the Downloads section. However, because this upload is so large, you will need to check out the Comments section to preview all the offerings. 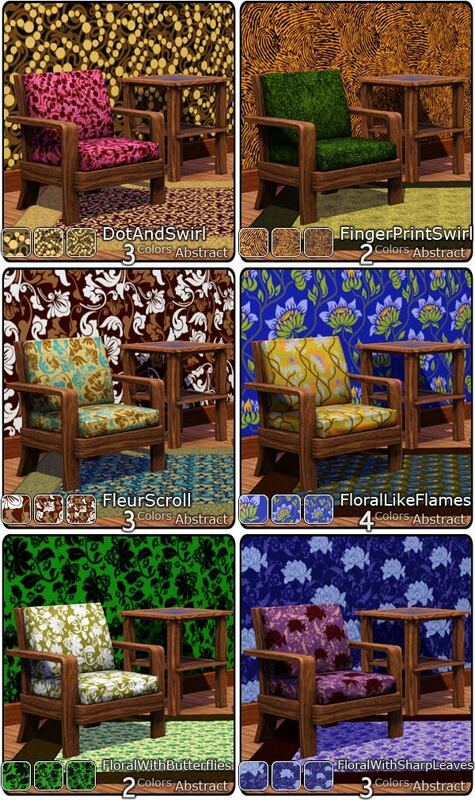 The screenshot of each pattern gives the file name, the thumbnail for each available size, number of recolor-able channels, and its in-game location. The largest version of each pattern is shown on the walls, the medium scale on the chairs/bed and the smallest on the rug/lamp. 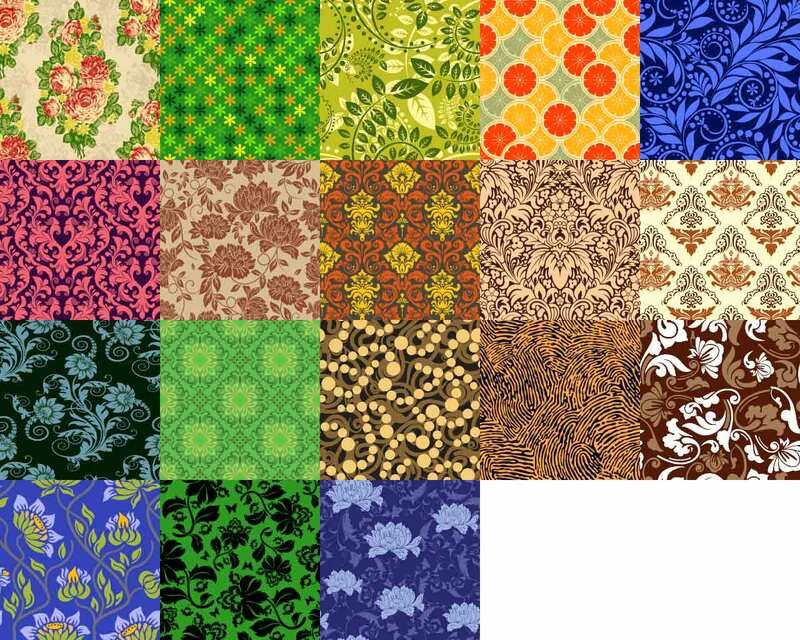 I've also included a group of swatches from photoshop that will give you a better idea of the detail in each pattern. A swatch shows a full repeat of the largest version of each pattern. The medium pattern is 1/2 scale and the small 1/3 scale. I've placed most of my patterns in Abstract based on my personal preference. Those patterns placed in geometric are those that I really felt had to go there, since the category is already full of content and loads slowly enough as is. Themed has been reserved for patterns I felt were only useable for children or in bathrooms.